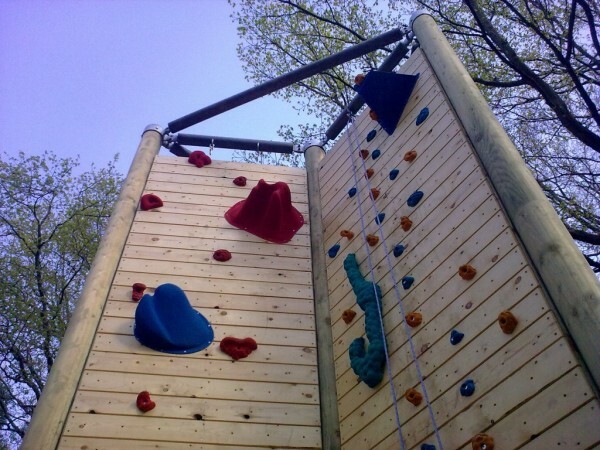 Down at Bushy Wood scout camp the kids love to climb. 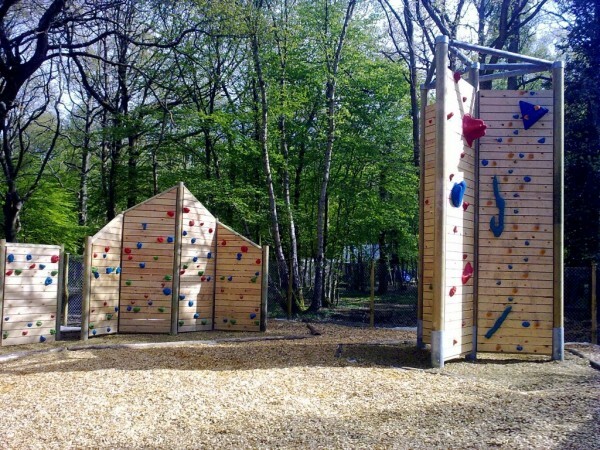 So to save them from falling out of the trees, we were asked to build two giant climbing walls! 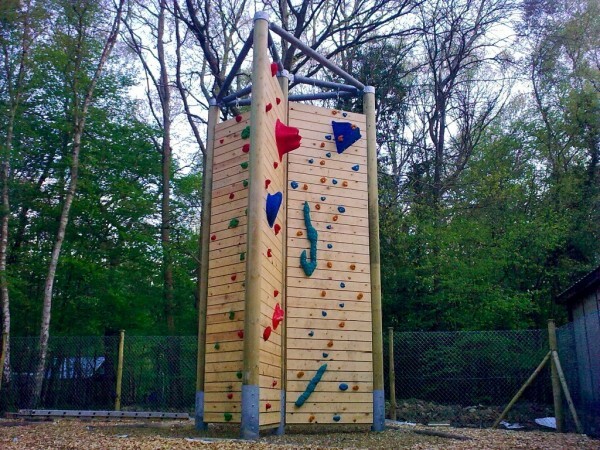 The tower is 6 metres high, with 6 roped wall faces, providing a total of 12 routes to climb for all abilities. 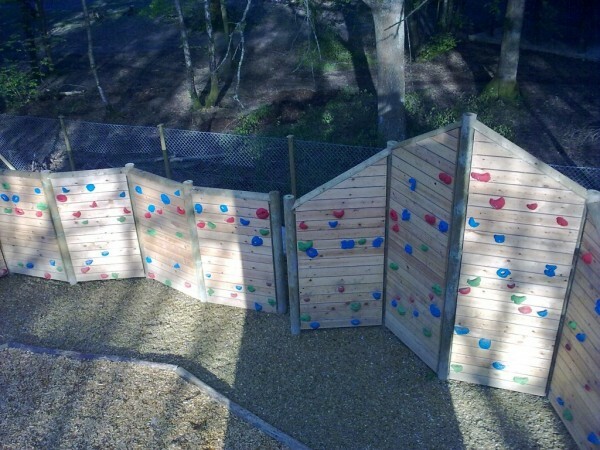 Its not-so-little brother is a free standing traverse wall, double sided, built in two parts. 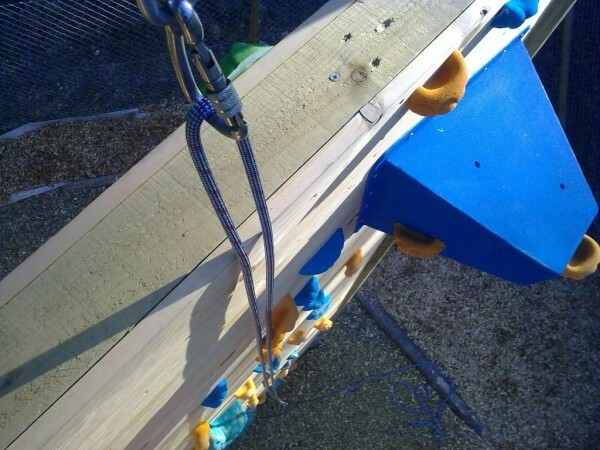 The highest point is up to 3.5 metres – testing the grip of the keenest scouts. Both walls were designed with a natural timber approach, to fit in with the surroundings. 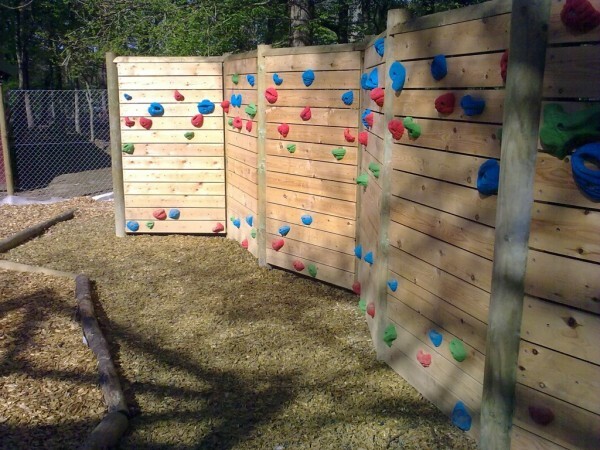 Beneath the walls is a surface of springy rubber mulch – just like wood chippings but with more bounce!